A few thousand miles away from mainstream media coverage, right at the heart of Middle-earth, a bunch of teenagers are toiling hard for the coveted U-19 World Championship title. The tournament that is contested every two years, has often shown us the first glimpse of the legends-to-be. At the same time, we have seen some of the headliners melt into mediocrity. Let's try to find some of the names that shone brightly in the tournament over the years, and see what happened to their careers after that. Brett Williams (Australia) was the highest run-scorer in the tournament. The first edition of the tournament was held in Australia and was contested for by 8 teams. The hosts pipped Pakistan by 5 wickets to lift the trophy for the very first time. The leading scorer, Australia's Brett Williams, never really delivered on his potential and wound up playing first-class and List A games for South Australia. He stuck around for two more years before disappearing from the history altogether. His compatriot and joint highest wicket-taker, Wayne Holdsworth had a slightly better fortune. 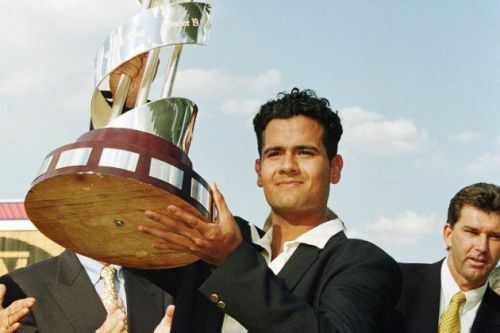 He played for New South Wales, Hampshire, and Bankstown, amassing 251 wickets before retiring in 2001. He never received an international call-up either. Pakistan's Mushtaq Ahmed was the other highest wicket-taker, and we all know what transpired with his career. Notably, Michael Atherton, Nasser Hussain, Inzamam-ul-Haq, Brian Lara, and Sanath Jayasuriya were also a part of the tournament. Highest run scorers of Under-19 World Cups: Where are they now?